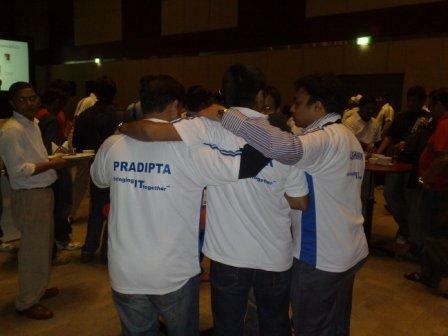 The gears are changed and the user groups are all set to organize event in their respective cities. The email invites are flowing across through Microsoft and also some buzz expected on the Tech.Ed India communities. The Agenda is as described in the above invite, however if you want to register for the Developer Track from 9:00 AM to 1:15 PM Register here and for the IT Pro track from 2:00 PM to 6:30 PM Register here. I have been briefing you earlier that soon after the Microsoft Tech.Ed India 2009, the heat still remains and moves on Roads. 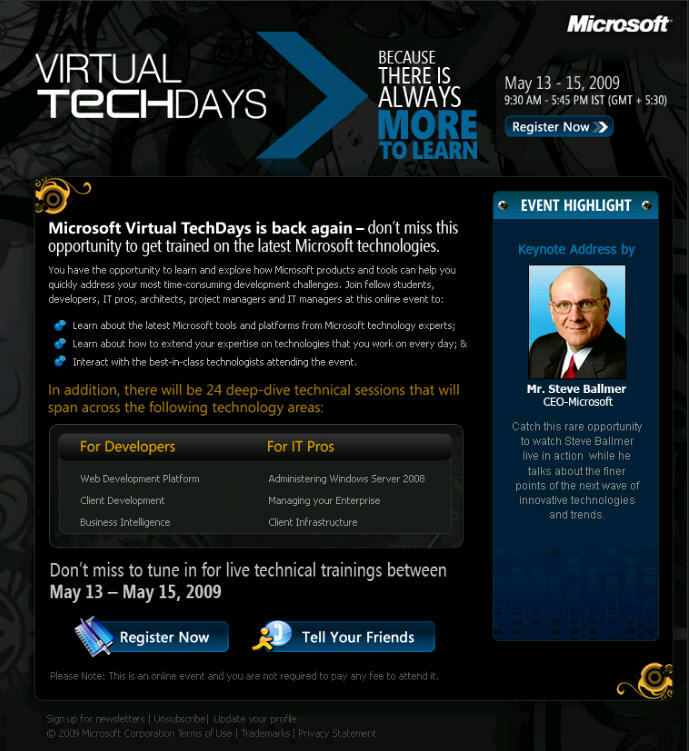 All Microsoft User Groups in India are now conducting miniTech.Ed tagged as “Tech.Ed on the Road”. Here is the time now that we announce you some brief insights on what and when is it happening? 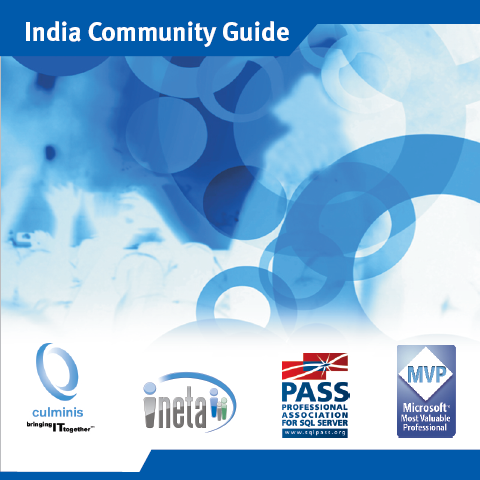 All Microsoft user groups across India are now taking up this initiative forward with support from Microsoft India, Culminis, Ineta APAC, PASS, Microsoft UGSS. On June 13th, 20th, or 27th User Groups in the following cities will be hosting the Tech.Ed on the Road event: Ahmedabad, Mumbai, Bangalore, Pune, Delhi, Chennai, Kerala, Kolkata, Hyderabad, Siliguri, Mandya / Mysore, Surat, Nepal, and Bangladesh. We will reveal the URL of all these user groups in next few days. To give you a hint, these are the same sessions that were conducted at Tech.Ed and all those who were unable to attend due to any reasons, these are now coming towards you with no fees – only your participation is much valued. 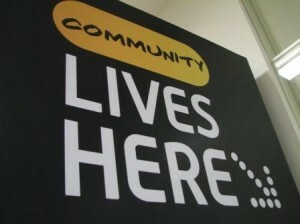 So take this opportunity in finding your nearest community. The event is squeezed into One day and so you will have lot to check out. That’s not all, Microsoft is helping encourage submission of information in localised languages. Taking this initiative forward to reach your local cities, user groups are encourage to take up this opportunity of delivering one of the session in your regional language. You may find some user groups actively participating in this initiative. Your support as being an audience / member of the user group in being involved is highly appreciated. Within the next few days we will unfold the complete details on agenda and venue details of your nearest user group. 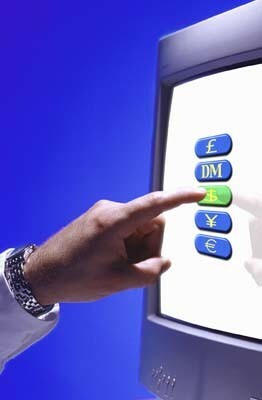 So make sure you are a part of that user group and participate actively. Session abstract: Presenting at large events such as Tech.Ed involves a lot of preparation. Too many speakers leave far too much to chance. Doing a good job does not happen by accident. In this session, Greg will share experience and tips related to the process of getting selected, preparing content and delivering that content. Many of the tips can also be applied to improving the delivery of technical material in classroom or user group situations. 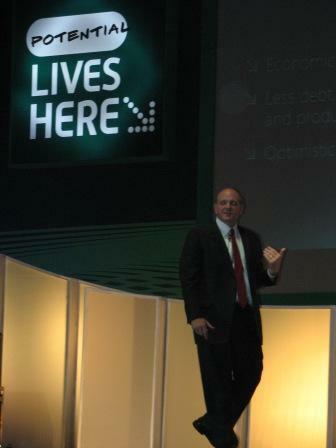 Presenter Bio: Greg Low is an internationally recognized consultant, developer and trainer. He is the country lead for Solid Quality, a SQL Server MVP and one of only three Microsoft Regional Directors for Australia. Greg also hosts the popular SQL Down Under podcast (www.sqldownunder.com), is a board member of PASS (the Professional Association for SQL Server) and an author with Microsoft Press and Rational Press. He regularly speaks at large events around the world. 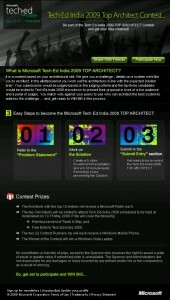 Microsoft TechEd India 2009 was a great success. Here are some of the photos uploaded. Reached Hyderabad on the 12th May, 2009 afteroon around 12:00 PM bearing the heat that raised to 43 degrees celsius. Visited the venue for setting up the community pavilion and ensuring the give aways have reached and on place. We have the India Community Guide printed that goes into every attendee kit and ensure the agency does their job of inserting them in the kit. Download the India Community Guide here. We enter the auditorium to see it jam packed with audience waiting for the Key note of Steve B. The event starts with a performance by Agnee singing the Tech.Ed anthem and followed by Steve B entering at the end of the song. Few updates from his speech and discussion with the audience can be found here. The event starts as per its agenda and we visit the community pavilion. From here, I will now be just putting up the details of the activities that we did with promoting the communities. We had a contest on User Group Leader Hunt running. The basic objective of this contest was for attendees to know more about the communities and interact with the user group leaders. The attendees also get an opportunity to get in contact with their local user group leader, which most would have not known or interacted with. And at the same time, a recognition to the leader. The idea of this contest was that the forms containing the user group name and it’s leader’s name mentioned in blocks. All that the contestant needs to do is visit the community pavilion, attend un-conferences, find badges of the leads, etc… and search them, interact, and take their signature. Check the photograph at left. Download the form here. This contest initiative generated the highest buzz and a good participation from the attendees contesting. The community pavilion was soon getting packed for un-conferences and user group leaders being surrounded outside for interaction and signatures / autographs :-) and get goodies (Caps, T-shirts, Wooden Pens, Stress Balls) in return. In addition, Ineta APAC had a True of False contest running. The forms were circulated by the Ineta volunteers which contained few questions to build awareness of Ineta services. Some media personnel from few of the best news channels in India entering the pavilion in regular intervals to learn more on the communities and take interviews and shoot videos of the volunteers at work. It was a real great experience interacting with them. Day 2 starts with the Oscar winner Resul Pookutty’s keynote and in the same format, back to pavilion. The leader hunt contest continues. However, we had a requirement of more space in spite of the community zone for setting the Dart game. Hardik helped setting that on the X-box zone by providing the 25% of its space and the community now conquers another area for its reach We have the contest forms and community guides scattered on the table there for attendees to collect with the Dart board set and people queue up for their chance to hit the dart and win some goodies. Another most attractive zone for public to wander around and stay participating with the community. As said earlier, we had arranged a UG Leaders summit and that happened in a closed meeting where we discussed about the current happenings around the user groups, user group leaders sharing some best practices. UG Leads affiliated to Culminis, Ineta, PASS discussing about their expectations and requirements with the volunteer leads of the association. Services from Culminis, Ineta, Pass being shared and their plans for FY10, and a major discussion on the post Tech.Ed initiatives. We will now be conducting mini Tech.Ed tagged with name as “Tech.Ed on the Road”. I will blog about this in detail on next post and provide all some better insights. The attendees of the UG leaders summit were Microsoft DPE team, Culminis Team, Ineta Team, SQL Pass team, India Community Council members, UG Leaders, and some leading MVPs. All of them those associated with the community. This gave a better opportunity for all to have a formal get together and understand each other. The buzz just happened throughout the day as usual but today was even special. We had a party in the evening. Free beer, soft drinks, fruit juice etc… with munchies were served and a better opportunity to network with the community leads, MVPs, Microsoft, Culminis, Ineta, Pass, and few of the contest winners of the day in UG Leader Hunt who managed getting all the signatures. The party was sponsored by Microsoft UGSS and partly by Culminis and Ineta. 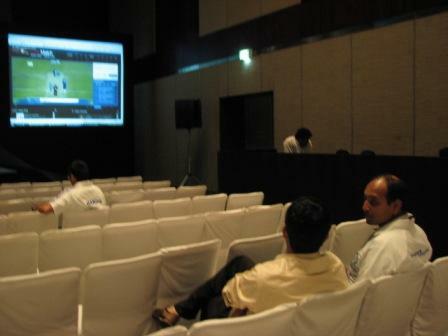 Adding to that it was even exciting to watch the IPL T20 Cricket match being telecasted Live on the large screen via http://www.iplt20.com/ that was developed on Silverlight by Microsoft. On day 3, still as the same above contests continue (today being the last day of the event and also the Leader Hunt contest), we had lots of more work to do before winding up. Much said about the community activities in whole, this is the first time one would see a lot of community participation at Tech.Ed and we look forward to have the same momentum going. Hope to see more community participation happening from every user group members with their local communities. View the photographs in the above slideshow to know more about the Tech.Ed as an event than the community activities. After all these active contribution, we should really thank all the User Group leaders who came down and actively volunteered, the India Community Council Members, Sanjay Shetty (Regional Director, and Regional Lead APAC and EMEA for Microsoft UGSS) for his leadership, and DPE team at Microsoft whose invaluable support on providing an access and platform to the communities helped in making the community initiatives succesful, which wouldn’t have been else. Sanjay has another blog post summarizing here. Tech.Ed does not stop here… as we say, Tech.Ed Lives Here. Yes, now the Tech.Ed lives in the Communities and all the user groups are now taking the initiatives forward in June 2009 and few of the Tech.Ed sessions will be happening in your local user group. If you have missed the opportunity of attending the TechEd in Hyderabad, here is your sure-shot opportunity to join the heat wave and movetowards your nearest community. 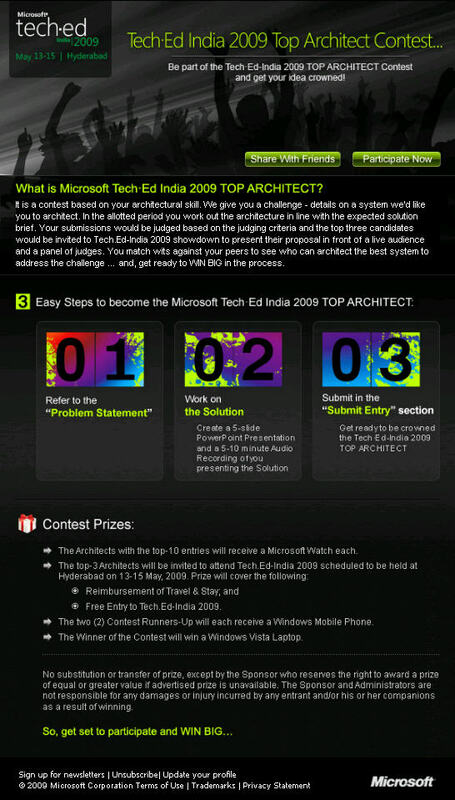 As I have been mentioning earlier about some contests coming specifically for the Bloggers pre-Tech.Ed India 2009, here is a snapshot of what it is about. 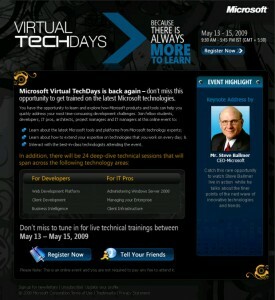 This contest will run from May 4th to May 10th 2009 and the winner will be announced on May 11th 2009 who gets a FREE pass to Tech.Ed. All you need to do is blog on any of the below 8 topics and post a link to your article on Future Sight – Bloggers Contest Entries in the FaceBook discussion. We are looking for a few Indian brains that can match the envisioning prowess of Bill Gates. We are looking for bloggers who can pen down their thoughts on future of technologies. In the contest you need to blog on your vision of the future technologies. Your blog entry should be made between May 4th to May 10th 2009. Post the link to your blog post here. The entries will be judged on unique ideas, feasibility and relevance from the current technology standpoint. The contest panel includes evangelists from Microsoft India. The winner of the contest will be announced on May 11th 2009. So go ahead and post your article, you also stand a chance to get some cool prizes in the form of goodies from Microsoft. If you are attending Tech.Ed, there is a technology UnConference happening. A bunch of Microsoft MVPs have shown interest in delivering session at the UnConference which are listed here. All you need to do is vote for any 3 of your favourite UnConference@TechEd Session. 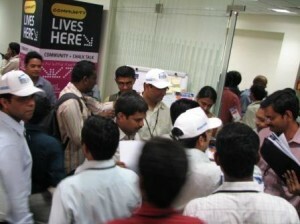 TechEd India is all about you – the community. 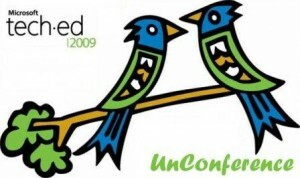 In the true spirit of community we are happy to present the UnConference@TechEd India. UnConference will be hosted in the Community Pavilion @ TechEd India throughout the day and streamed live. It is the event where you are the presenter and you are the ones choosing the sessions. The attendees also get an opportunity to present at UnConference. The sessions are led by third-party experts (MVPs) and intended for attendees to enjoy free-flowing dialogues about products, technologies, and solutions. Unconference is one of the favorite ways people connect at the conference. 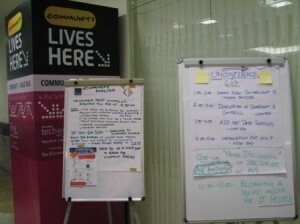 You can meet people with similar interests and challenges in an open-forum environment at the Unconference sessions. UnConference sessions are an eclectic mix of technology and productivity sessions. You can vote for the sessions you would like to hear at UnConference here. Apart from the technology sessions, you will also find some productivity sessions on blogging, presentation skills etc. As all Mumbaikars are now set for the Lok Sabha Elections happening here in Mumbai tomorrow – Thursday, April 30, 2009 here’s a final word that we need to check before visiting the polling booth. Consider accompanying your friends and family members at the polling booth. The website of the Chief Electoral Officer i.e. www.ceomaharashtra.nic.in points you to this On line Search URL http://220.225.73.202/ where you just need to enter your name and assembly location. You can also search your name on the voter list available at your polling booth. But is advisable to have it checked in advance. You will find your polling booth address on the voter list in the section where you find your name registered as a voter. You can even check with your neighbors since most people in an area normally belong to the same polling booth. Voter registration forms with sufficient address/id proofs and correct entries would have been duly processed to be included in the voter list at the discretion of the ERO. In case you don’t have a voter ID card, you can use any of the other approved ID cards. Know your candidate well. Find detailed profiles of all candidates contesting from your constituency. Here are some of the best initiatives and MUST VISIT websites to stay up-to-date are: MumbaiVotes, MyObv (A jaagore.com initiative), MyNeta. Here you will find detailed profile, interviews and all details you need to know about them. For anything else, here is the website of Election Commission of India. So lets go ahead and make our vote count! 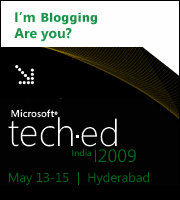 Well, as you can see that I’m Blogging about TechEd India 2009 – Are you? Let that be seen, show it Now! The Government of India wants your help. It has invited the public to suggest a symbol for the Rupee. Just as the Dollar is universally denoted by $‚ the government thinks the Rupee should also have its own unique symbol that captures a sense of India’s history and culture. Listed are 19 suggestions from ET’s team of designers. Please vote for the one you find best. ET will present all these symbols ‚ along with the ET viewers’ preference‚ to the Ministry of Finance . Learning Snacks are short, interactive presentations about popular Windows Server 2008 topics and have been created by Microsoft Learning experts. Each Snack is delivered by using innovative Microsoft Silverlight technology and includes various media, such as animations and recorded demos. At the end of each presentation, you can view more Snacks, learn more about the topic, or visit a related Web site. Note: To view Learning Snacks, you need to install Microsoft Silverlight and enable pop-up windows. At the Microsoft Learning portal you’ll find a link for a free e-book: Understanding Microsoft Virtualization Solutions, by Mitch Tulloch. In 8 chapters and 452 pages, Mitch’s e-book covers the following technologies: Windows Server 2008 Hyper-V, System Center Virtual Machine Manager 2008, Microsoft Application Virtualization 4.5, Microsoft Enterprise Desktop Virtualization, and Microsoft Virtual Desktop Infrastructure. The e-book includes full search functionality as well as a 14-page Index. 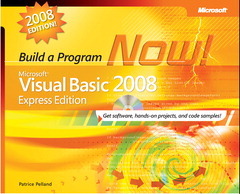 Microsoft Press is celebrating its 25th anniversary this year 2009 are offering free e-books to readers. April’s e-books are now available (links below) and the first e-book features Canadian MVP Charlie Russel. The books will be available for download only till 22nd April! 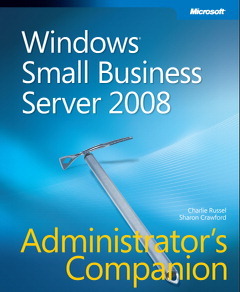 MVP Charlie Russel is the author of more than 2 dozen computer books, including “Microsoft Windows Server 2003 R2 Administrator’s Companion”(MS Press) and “Microsoft Windows XP Resource Kit, 3rd Edition”(MS Press). He has also written numerous white papers and case studies on Microsoft.com, most recently around Windows HPC Server, and he was also a regular columnist for Windows Expert Zone.